I love making hard boiled eggs. Get 3 amazing recipes for deviled eggs with a twist here! Did you know there are many ways to actually cook your hard boiled eggs? Yes, here are 3 easy ways to cook your hard boiled eggs. On AND off grid! Add eggs to a medium sized pot, making sure there is plenty of room for the eggs. Don’t over crowd them, or you risk the shells breaking before the eggs are done. Cover with cold water, and set pot on stove over medium high heat. Add 1/2 teaspoon salt and 1/2 teaspoon baking soda to the water. Turn heat off and cover pot with lid. Allow eggs to sit in water for 2o minutes. Carefully remove eggs to ice water bath. Allow eggs to sit in ice bath for 2 minutes. This will harness the power of the sun to cook your eggs. The best part of this method is that there is NO heat in your kitchen at all! Eggs are placed in the oven, and no watching them is necessary. Easy to do on a busy day, you make hard boiled eggs while gardening, or cleaning out the chicken coop at the same time! 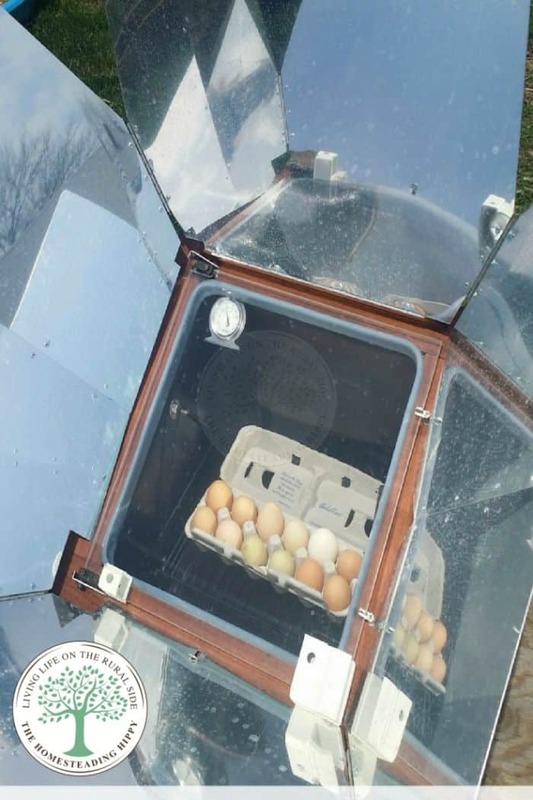 Need to get a solar oven for cooking eggs this way? Check them out here on my affiliate partner’s site. Position the oven and line the dots up with the sun’s rays to get the best heat. Place eggs, still in the cardboard carton, directly on the oven’s rack. Allow to cook in the sun for 2 hours. Remove eggs to ice water bath. This is a quick and easy method to use. The Instant Pot also gives off very little heat, and this is great for the summer time. Eggs are done in a flash! What are some of your favorite ways to cook hard boiled eggs? What recipes will you use them for? Share in the comments! !